ABRACADABRA – an ABC of everything you need to know about accompanying…. 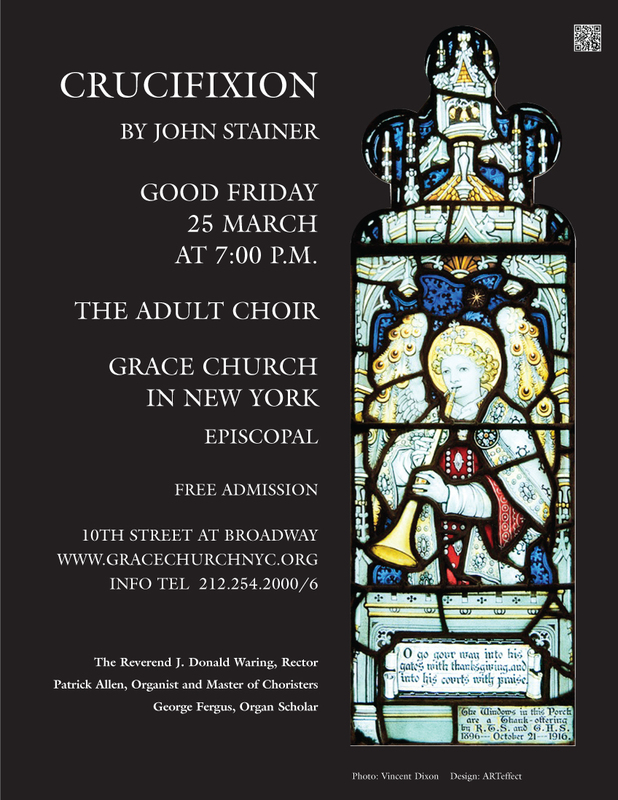 The Adult Choir will offer Choral Vespers featuring Stainer’s moving “Crucifixion,” a Cantata for Holy Week that begins with the entry into Jerusalem and follows our Lord through the events of His Passion and Crucifixion. 26 April at 7:00 p.m. Join us to celebrate the 125th Anniversary of the founding of the choirs! Grace Church Welcomes Steven McIntyre to Bach at Noon Tuesday 9 April at 12:20 p.m.
Choral Evensong by the Junior Choristers is on recess until 30 April at 6:00 p.m.
Grace Church Welcomes Naoko T. Maeda to Bach at Noon Tuesday 19 March at 12:20 p.m.
Ash Wednesday and Special Bach at Noon Schedule this week!